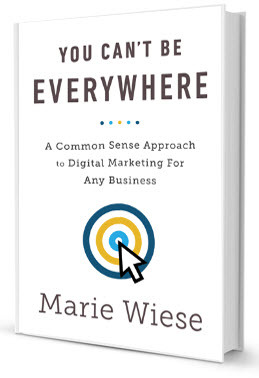 In You Can’t Be Everywhere, Marie Wiese offers her well-tested insight on how to navigate the realm of digital marketing and become a savvier marketer. Through personal stories and no-nonsense advice, Wiese shows how any company can conquer the digital space and craft extraordinary strategies and customer connections. This book helps entrepreneurs, business owners and CEOs create a road map that shows them what they need to do in order to connect with the right audience and attract the right sales leads.